2 Generations, 2 Different Perspectives On Korean Reunification : Parallels Jean H. Lee, a former Pyongyang bureau chief for The Associated Press, finds older relatives who fled North Korea dream of a different future than younger South Koreans. 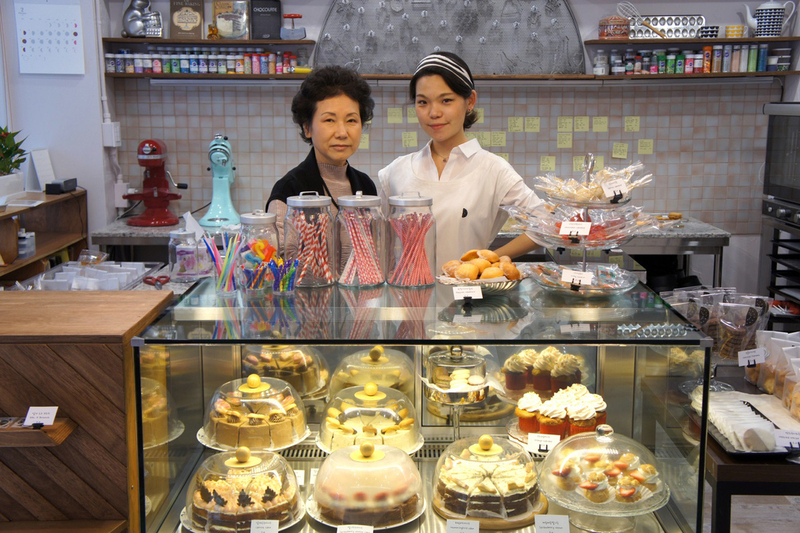 In this photo, Younghwa Chun (left) and Euni Cho celebrate the opening of Sweet Studio Dal D patisserie in Seoul, South Korea, in 2017. Chun was a toddler when her family fled North Korea, and doesn't have memories of life there. Jean H. Lee, the former Pyongyang bureau chief for The Associated Press, is the director of the Hyundai Motor-Korea Foundation Center for Korean History and Public Policy at the Wilson Center. 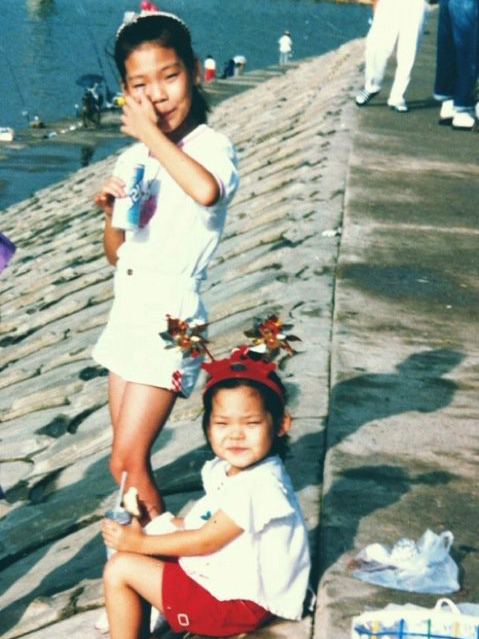 A childhood photo of sisters Euni (right) and Hanna Cho, taken in the southern port city of Busan, South Korea. Their mother Younghwa Chun was born in North Korean and evacuated on a U.S. ship to Busan during the Korean War. 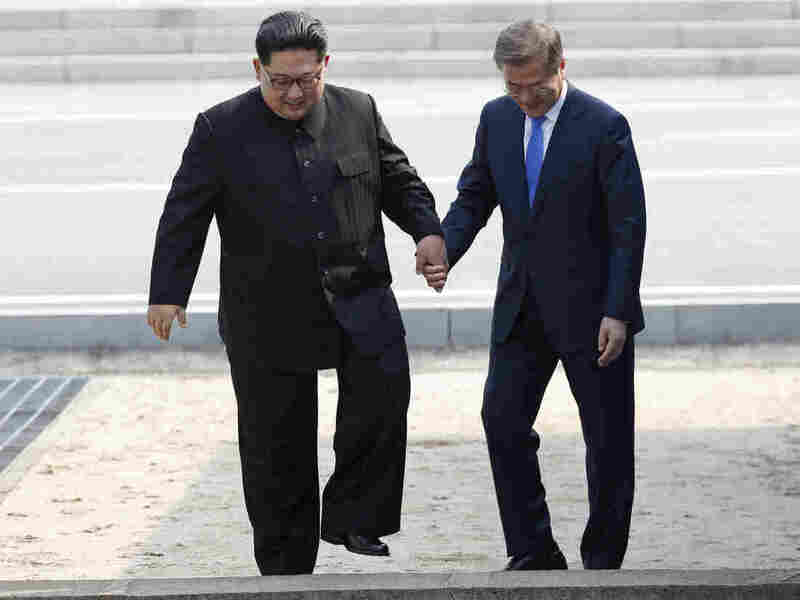 On April 27, North Korean leader Kim Jong Un (left) and South Korean President Moon Jae-in cross the border line in the the Demilitarized Zone between their countries. I think the U.S. troops need to stay until South Korea can stand on its own. I don't really feel that we are one nation. The two nations have very different values. Euni's preoccupation has been to build a small business in a competitive, high-pressure economy — not threats from North Korea. "I don't really feel that we are one nation," Euni says. "The two nations have very different values." Reunification may have benefits — but could also be damaging to society and to the economy, she says. As leaders negotiate the future of the Korean Peninsula, they must keep the divergent dreams of the different generations in mind. After all, it's young South Koreans like my cousin, working late into the night baking birthday cakes, who will pay for reconciliation and reunification — or, as I remind her, of provocation.